Colour is everywhere. It’s a non-verbal form of communication that decorates everything we see. Colour urges us to act, it compels us to feel, and it tells us a story, unlike any spoken word. We are drawn to colour when it’s skillfully used. We're going to look at colour theory and some of the applications it can have for creative classroom projects. 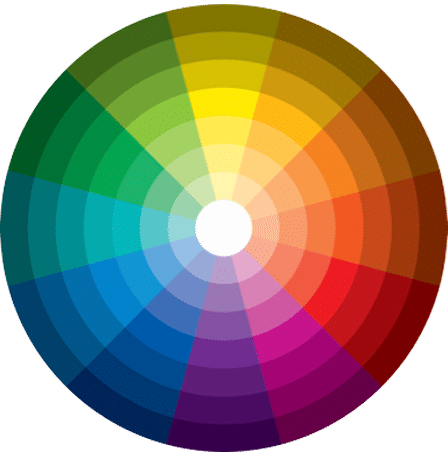 It will help give your students an understanding of how colour is used to invoke sense and emotion, and how it can represent the values of an organization or designer. 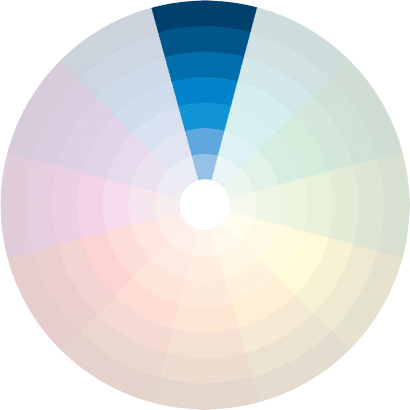 The Colour Wheel, created by Sir Isaac Newton, has become one of the most valuable tools for designers of marketing and media. It’s your best colouring friend. HUE: The actual quality of a colour (ex. the primary colours red, blue, and yellow). SHADE: The result of adding more black to darken a hue (ex. bright blue to dark blue). TINT: The result of adding more white to lighten a hue (ex. dark green to light green). TONE: The result of adding shades of both black and white to a hue (ex. pastel colours). SATURATION: The level of vividness and intensity of a hue obtained by either adding or subtracting gray to the hue. Any marketer or artist understands a need for consistency in colour. It’s also crucial to move beyond simply using what looks good. Your students can learn to use colour strategically to invoke emotions that will then give rise to taking an action. Here are some ideas of what particular colours represent in our hearts and minds, and how they can be used. Properly-used colour schemes are at the forefront of every design’s specific appeal and effectiveness. They communicate the message we want to send and invoke the feelings that inspire opinion and action. Colour is carefully considered in any design. The following examples are five basic and commonly-used colour schemes you see in everyday life. The Monochromatic scheme uses one colour of different shades and depths. This colour scheme always looks good because it’s essentially shades of the same hue, just used to various effects. This is a uniform and clean colour scheme that has remarkable versatility. The Complimentary scheme utilizes two colours that are across from each other. This colour scheme presents the risk of being too visually jarring if not managed correctly. If done right, though, it creates a great sense of harmony and also colour compliment. This is a great scheme to use if you really want something to stand out. The Triad scheme uses three colours from equidistant points on the colour wheel. The reason this scheme works so well with media and marketing is because of its “harmonious contrast.” This means it uses colours that are in high contrast to each other, and yet such a combination retains a vibrant balance in its palette. The Analogous scheme uses colours that are adjacent to each other on the colour wheel. With this scheme, usually, one colour is chosen as the dominant shade. The second supplements it, and the third is chosen as an accent or highlight. This is a comforting scheme that’s quite pleasing to look at. Having enough contrast is important here. The Tetradic colour scheme has four colours arranged into pairs or an equidistant group. Often in this kind of colour scheme, one hue is chosen to be the dominant one. When it’s used for any marketing and media purpose, the idea is to catch the eye and offer a sense of playfulness and fun. In other cases, it can be bold and sometimes rebellious. Want More Colour in Your Life? We're offering a colourfully expanded version of this article for download, and we want you to have it. It's the perfect colour theory resource for sharing with your students. It contains more information on colour theory and some great PBL scenarios for you to expand on—perfect ideas to use in the Solution Fluency Activity Planner. Download your own copy of World of Colour: Exploring Colour Theory in the Creative Classroom and bring some colour into your classroom.